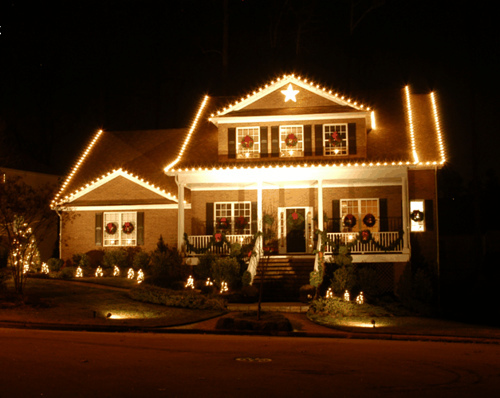 Rooftop Elves is your choice for Outdoor Holiday Lighting and Decorating Services! 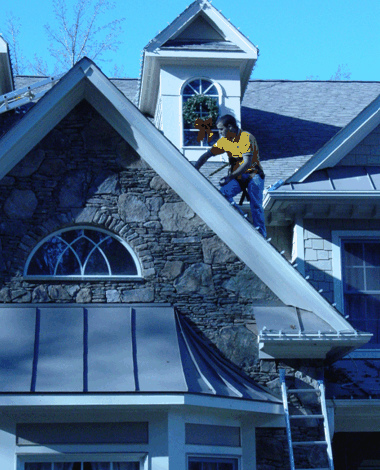 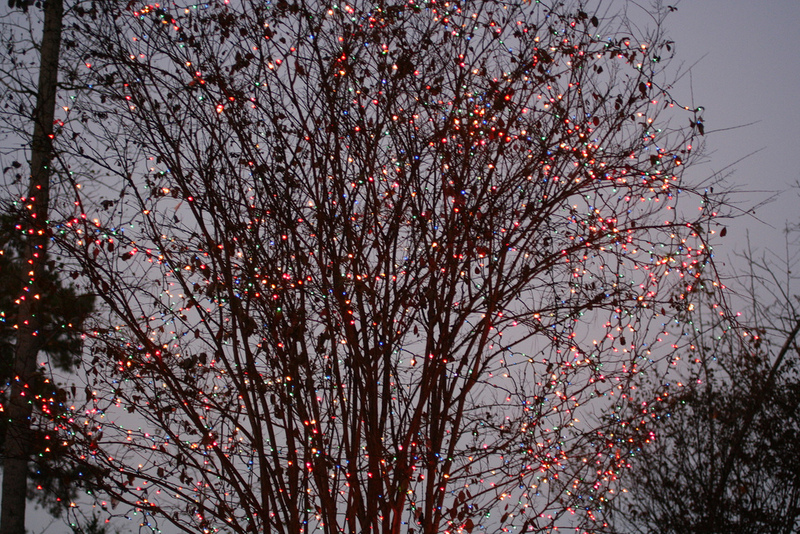 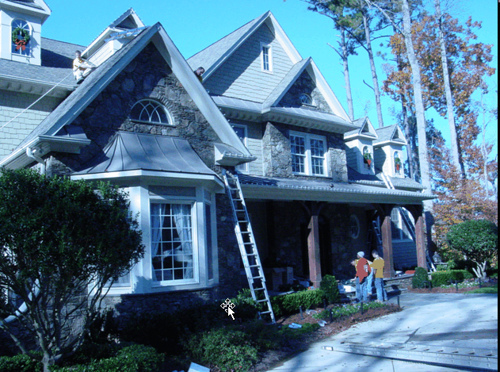 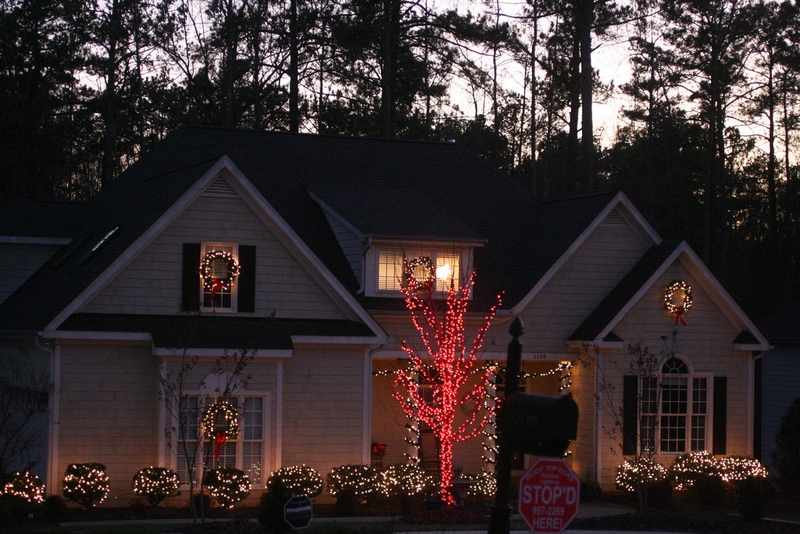 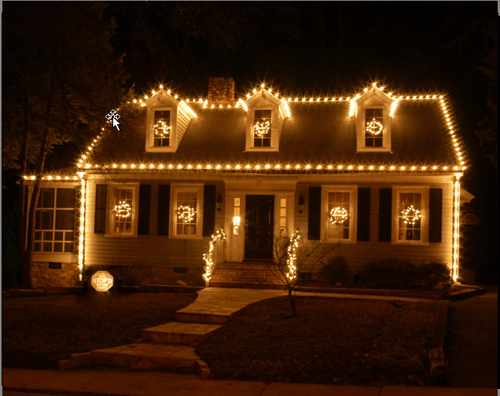 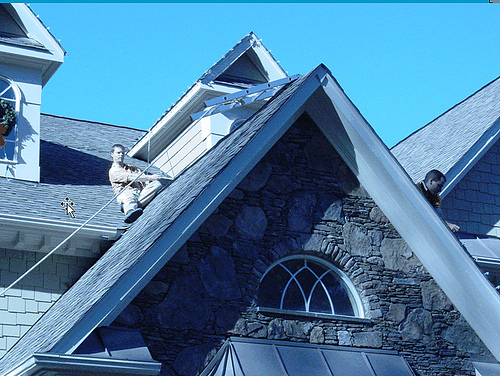 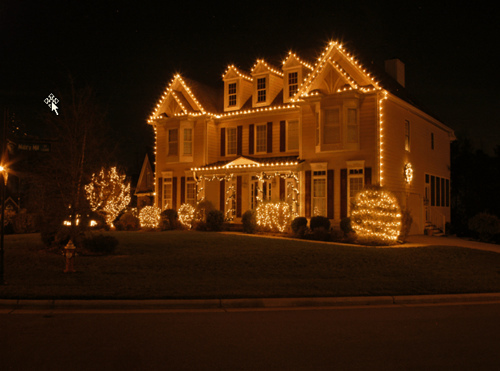 RoofTop Elves will provide Outdoor Lighting and Decorating Services throughout Central North Carolina. 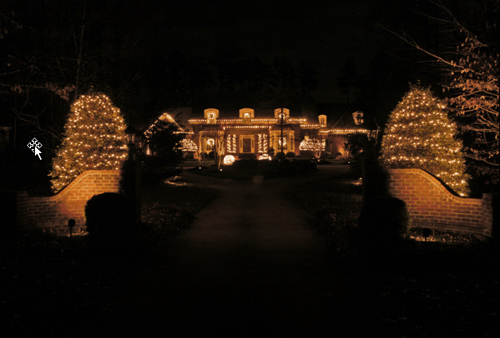 We can professionally decorate your home or business to make it look beautiful and inviting during the holiday season. 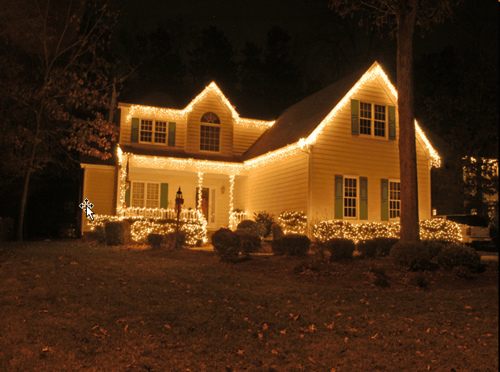 We can use your lights or RoofTop Elves is the leader in the utilization of LED lighting. 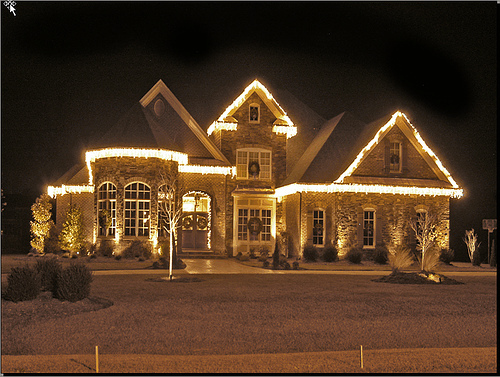 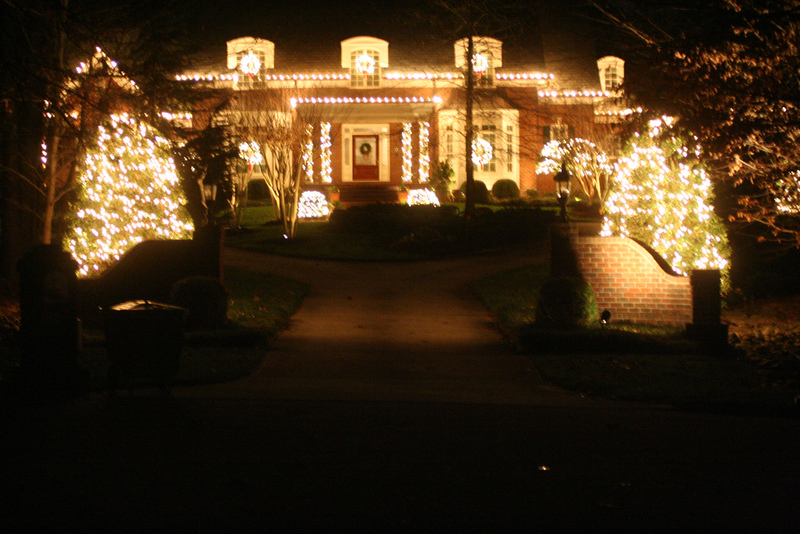 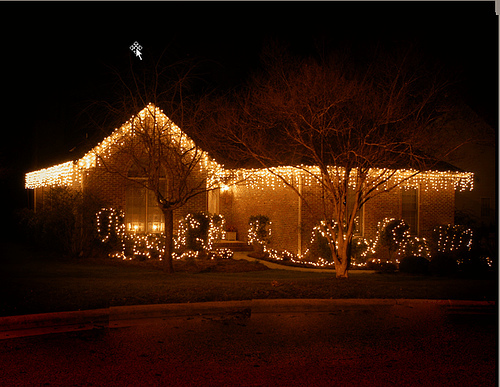 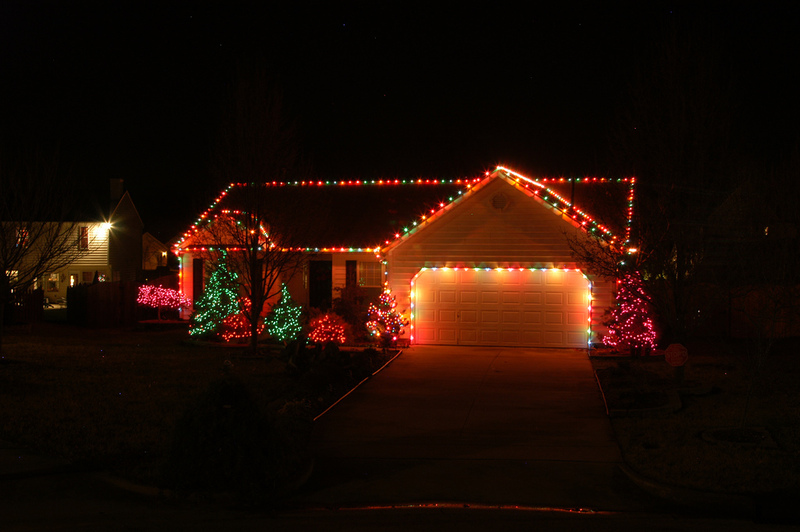 We have been professionally installing Holiday lights for nearly 10 years with a focus in LED lighting for nearly 7. 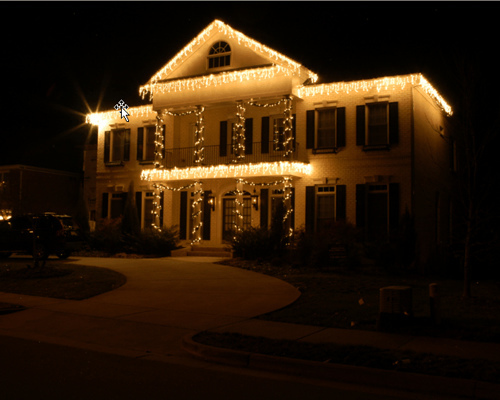 We found that the benefits in LED lighting far outweigh that of incandescent lighting. 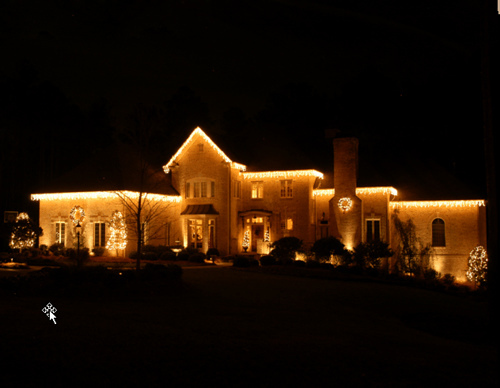 Thinking about making the switch to LED lighting? 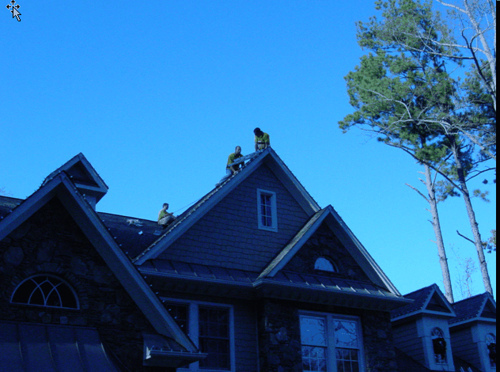 Call us today, we’ll be glad to discuss your options. 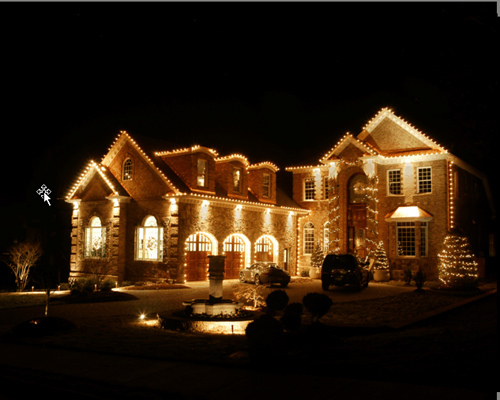 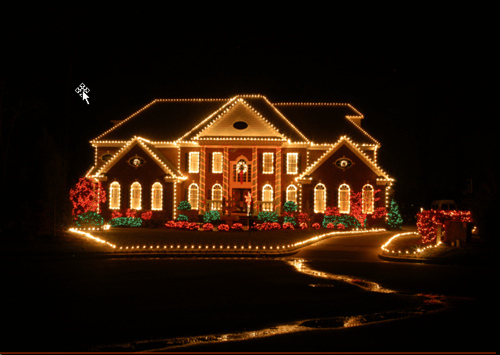 We have trained and insured professionals that will design the layout of your lights and/or decorations. 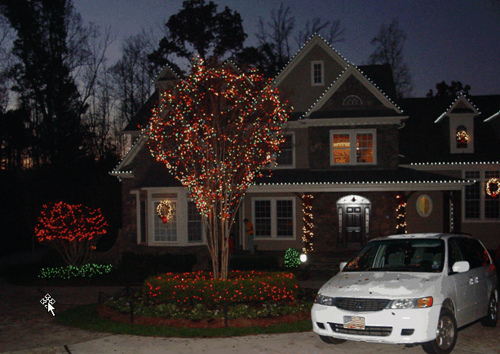 Our employees will install and take down the decorations at the end of the season. 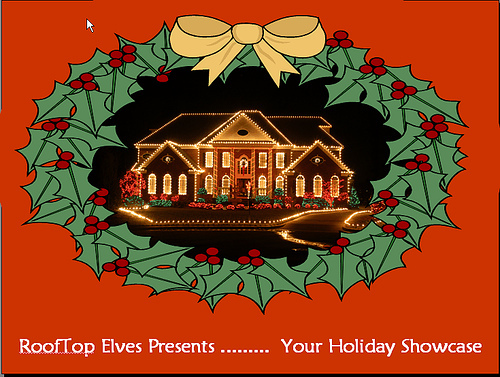 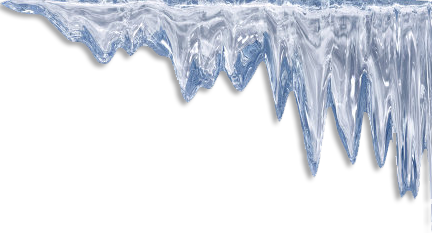 If any outages occur to the RoofTop Elves purchased lights during the season, simply call RoofTop Elves and we will send a technician out to correct it. 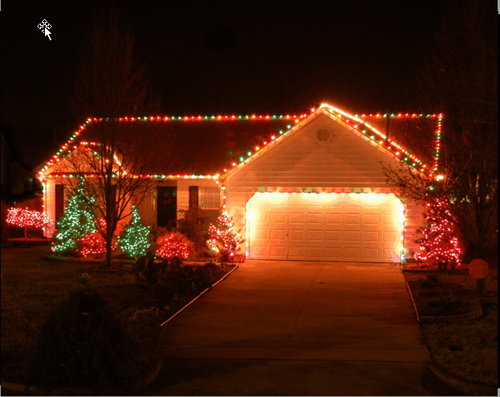 You can use your lights, OR use our LED lights which we guarantee for the entire season! 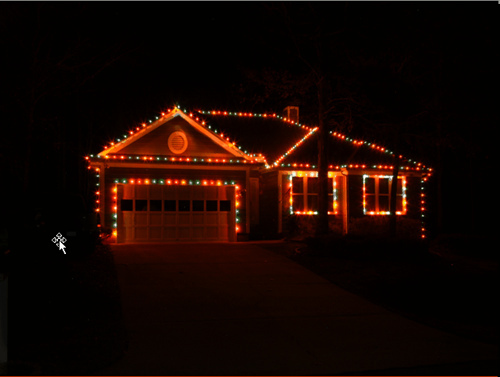 When the season is over, you can store them, OR we can store them for you in our warehouse until next season. 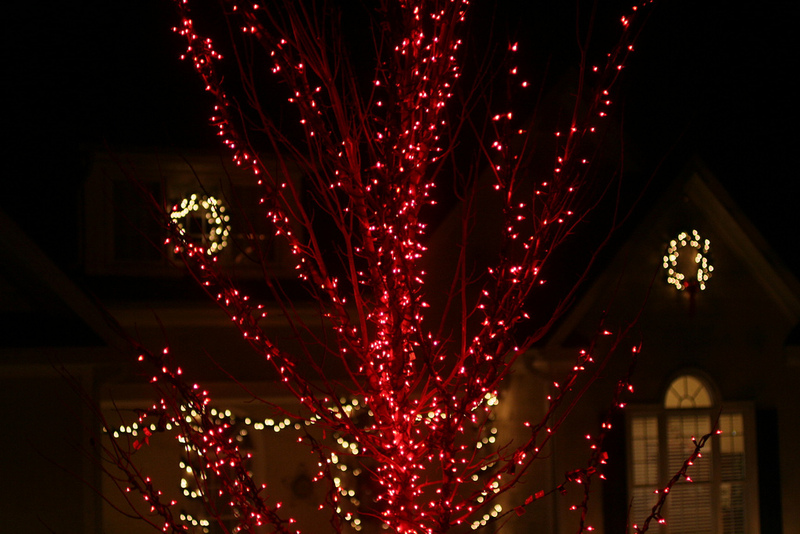 Other Options: Ornamental Deer, Spiral and Wire Trees, Swags, Garland, and of course, your Custom Designs! 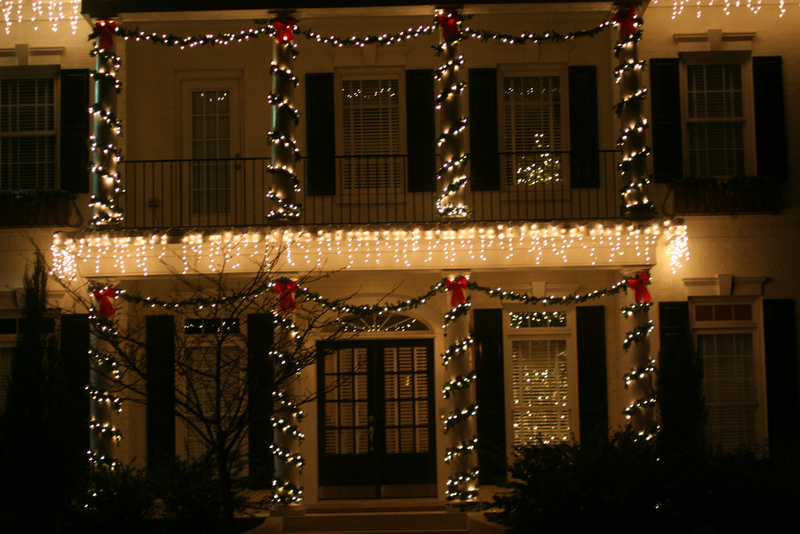 Call today to reserve your preferred decorating time!